Play therapy is a powerful tool for addressing cognitive, behavioral, and emotional challenges. Play therapy is a way of being with the child that honors their unique developmental level and looks for ways of helping in the “language” of the child – play. Mental health professionals therapeutically use play to help their clients to better express themselves and resolve their problems. Testimony: "The relationship that the counselor creates with the children is very beneficial to the adults and the child. My child is now able to effectively express himself, thrive at home and in social environments. Play therapy has increased my child's self esteem and overall mental well being. Thank you." Are you struggling to get your child/ children to take responsibility at home or in everyday life? 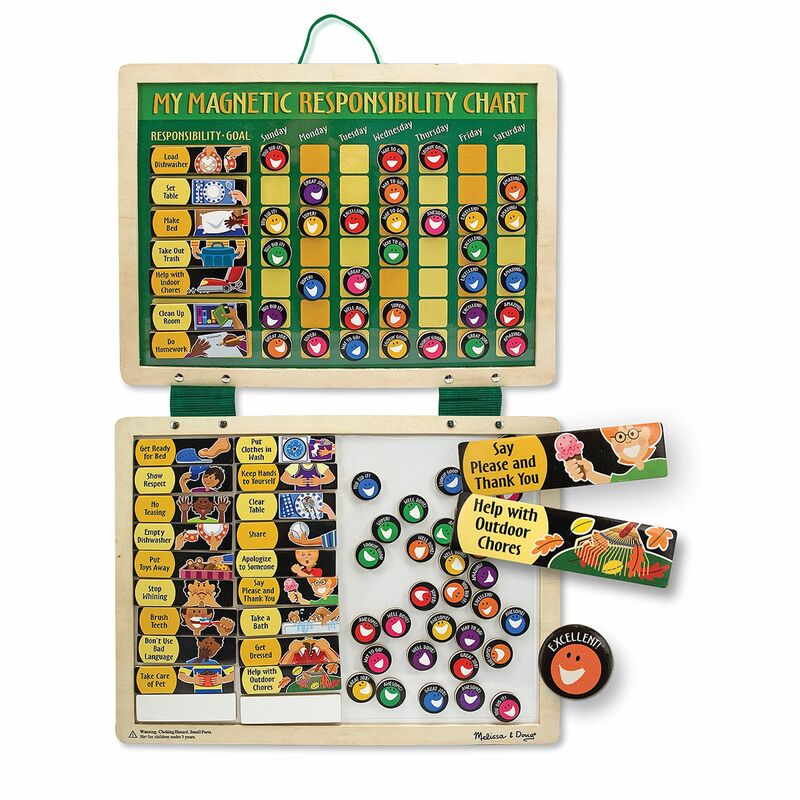 Melissa and Doug's Magnetic Responsibility Charts help teach and reinforce the importance of responsibility and promotes a sense of accomplishment. One example of this is while sitting with your child discussing responsibilities and personalizing your child's chart, they will see the real-life images of their goals and responsibilities. These responsibilities are displayed on a daily basis so that your child can see how mom or dad has affirmed their good behavior. 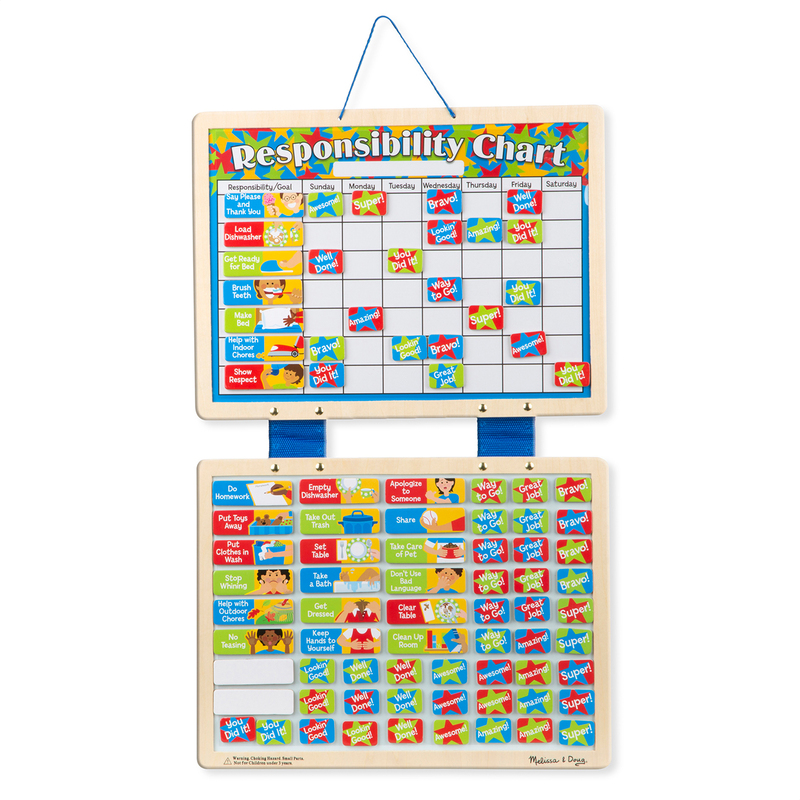 These charts help build self- esteem while teaching organizational skills, independence, and positive behavior. This example can be used with both responsibility charts. Melissa and Doug is an American manufacturer and purveyor of children's toys. The company was founded by Melissa and Doug Bernstein in their basement and in Doug's parents' garage in 1988. It is headquartered in Wilton, Connecticut. These toys have positively impacted Play Therapy at Start Fresh Counseling Center incredibily that we want to share it with everyone.